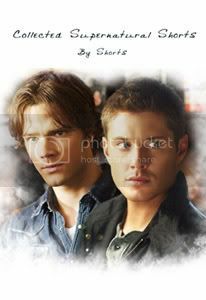 Hey all you Supernatural fans.... - One of the "substitute people"
The name of the zine is "Collected Supernatural Shorts" by Shorts. It's a netfic collection with a color cover by Ara (that's me, btw). Thank you! :) I'm hoping by putting it on my lj that people might get interested in the zine.